At Electric Shadows, we like art of all stripes. Particularly when that art is infused with an achingly cool sense of noir. A painter who has recently grabbed our attention is Vincent Kamp. 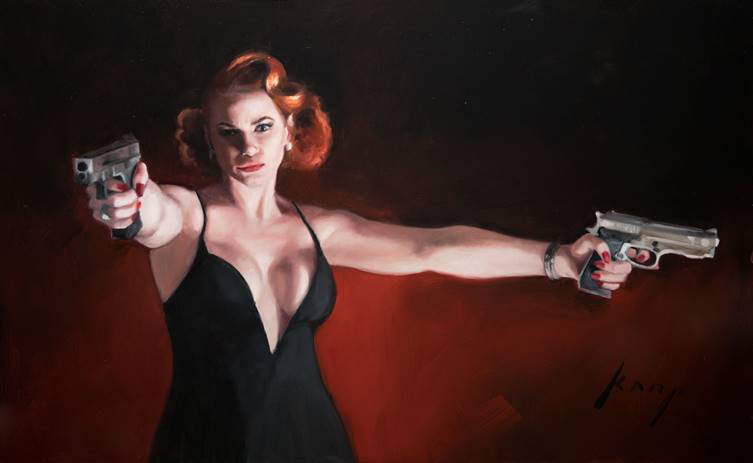 For his latest solo exhibition, on Thursday 8th November Kamp will turn Mayfair’s Clarendon Fine Art gallery into a den of iniquity, featuring wily card sharps, inked mobsters and gun-toting barmaids. 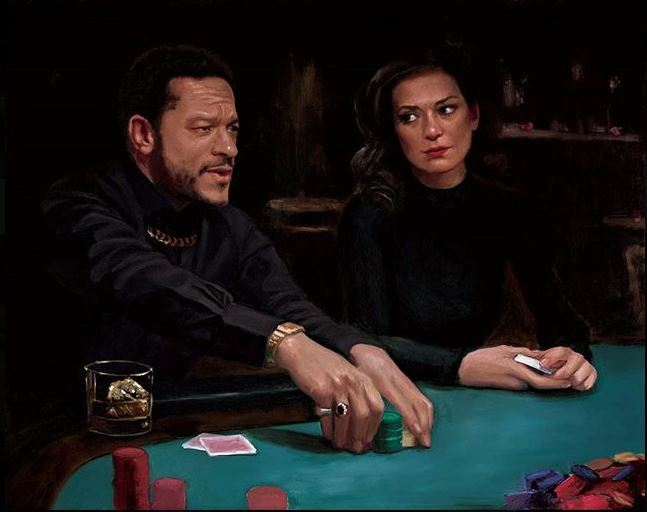 Comprising thirty new paintings and featuring a cast of twenty characters, The Long Game tells the story of a high stakes poker match that ends badly. For one night only, the cast will be present, alongside ‘the narrator’, re-enacting the story to create a unique interactive experience for the viewer.